We love being able to help people achieve results! If your looking to get fit while making new friends for life stop by The Pit. Absolutely amazing box! The Training Pit has amazing coaches everyone is helpful, attentive and extremely caring. I have been there for about 4 months and it feels like I have a second family! The training pit is great! The coaches are extremely helpful and always looking out for their athletes. It is by far the best CrossFit affiliate in Hollywood. Excellent environment and amazing crew!! This facility is not just a gym. The people, coaches, and positive vibes here make it my favorite part of the day. After coming to pit I can't imagine working out anywhere else. People are inspiring, motivating, and truly want to help you reach your goals. I've been doing crossfit for 2 years now and i've been at the training pit for around 5 Months . And It has been by far the most amazing gym experience. From the perfect weightlifting playlist, the environement this place has completly transformed me physically and mentally. I never thought I could lift or do half of the things im doing now . The coaches are there every steps of the way and you actually get to form a friendship with them! They know yout weaknesses and strenght and are always there to encourage to be your best.And finally the people there! The friendships,the laughs and the encouragments from other crossfiters is the uplifting !going to the training pit is always the highlight of my day! Thank you marcelo! My experience at the training pit is one I am completely thankful for. The family atmosphere, the love, the care, the warmth, and everything about this place is extraordinary! There isn't a minute that goes by where I am not excited to go and workout there. The coaches make the experience even better, because they are helpful, kind and PATIENT! There is no better place that I would recommend than here! This is home! This is family! 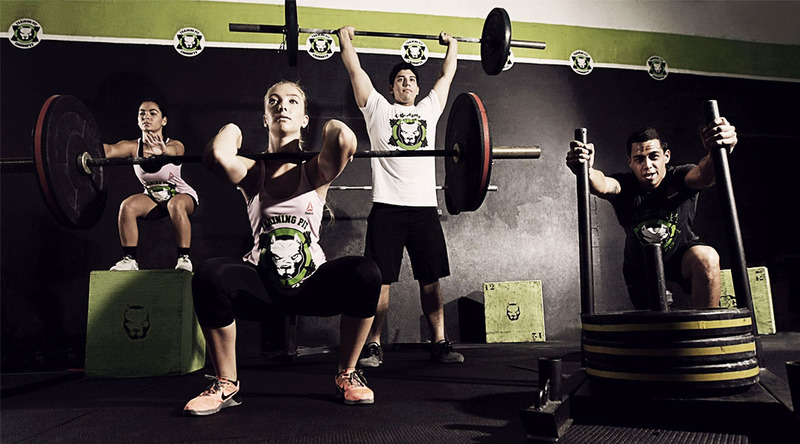 This is The Training Pit CrossFit! Fundamentals, start up program. it's beginner friendly. Bachelor's degree in exercise physiology. Crossfit level 1 and 2 certified. I've been in the fitness industry for over 15 years. Between myself (owner) and all our coaches we have over 50 years of experience in the fitness field! Do your research, don't put your health at risk on the hands of professionals without knowledge or experience. Years in the industry, certifications, values that potential trainers may have. Results with clients?